Lanny McDonald, Chairman of the Hockey Hall of Fame and John Davidson, Chairman of the Selection Committee, announced today that four individuals have been elected to Hockey Hall of Fame Honoured Membership, three in the Player Category and one in the Builder Category. The vote took place today at the annual meeting of the Selection Committee in Toronto. "The Hockey Hall of Fame is proud to welcome these four hockey legends as Honoured Members," said John Davidson. "Their contributions to the game of hockey are well documented and their election to the Hockey Hall of Fame is richly deserved." 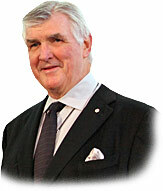 In the Builder Category, Pat Quinn was elected. After nine seasons in the NHL, Pat joined the Philadelphia Flyers as an assistant coach in 1977. Over the next almost 40 years, he held coaching, managing and President positions, both in the NHL and with Team Canada. At the time of his death in November, 2014, he was Chair of the Hockey Hall of Fame. "Being recognized by Pat's hockey peers is truly a great honour," said his wife, Sandra Quinn. "I'm proud of Pat and what he accomplished." 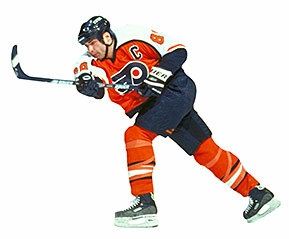 Eric Lindros exemplified the power forward position throughout his 14 year NHL career. He won gold for Canada both at the Olympic Games and the Canada Cup and also averaged over a point a game in the NHL. "I was very fortunate to have coaches, teammates, billets and parents who supported me throughout my career." said Lindros. "It also takes a lot of luck to get to the NHL." 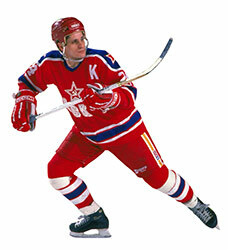 Sergei Makarov led the Soviet League in scoring for nine seasons, while also winning eight World Championship gold medals and two Olympic gold medals. He later joined the NHL as a member of the Calgary Flames in 1989 and went on to play in over 400 NHL games. "For everyone who plays the game, this is the top place,"said Markarov. "It will be so nice to join all of those great players." Rogie Vachon joined the Montreal Canadiens in 1966 and won three Stanley Cups in his first six NHL seasons. After being traded to the LA Kings in 1971, he continued his stellar career for 11 more seasons before retiring to become an NHL coach and executive. 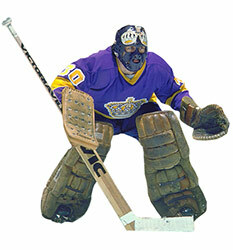 "I was very lucky to play for the Montreal Canadiens at the start of my career," said Vachon. "My first shot on net was a breakaway by Gordie Howe. I stopped it and it kept me in the league for 16 more years." The 2016 Induction Celebration will be held on Monday, November 14th at the Hockey Hall of Fame in Toronto. For more information regarding the 2016 Induction Weekend/Celebration, visit https://www.hhof.com. Established in 1943, the Hockey Hall of Fame's ("HHOF") mandate is to recognize and honour the achievements of players, builders and officials who bring special distinction to the game of hockey, and to collect, preserve, research and exhibit objects, images and resource materials connected with the game as it is played in Canada and throughout the world. As a non-profit corporation and a registered charity under the Income Tax Act, HHOF owns and operates a museum and place of entertainment offering state-of-the-art exhibits, multimedia presentations and educational programming from its premises at Brookfield Place, Toronto, Canada. TORONTO (June 2, 2016)  Scott Burnside, President of the Professional Hockey Writers' Association, and Chuck Kaiton, President of the NHL Broadcasters' Association, announced today that SAM ROSEN will receive the Foster Hewitt Memorial Award for outstanding contributions as a hockey broadcaster, and BOB VERDI will receive the Elmer Ferguson Memorial Award for excellence in hockey journalism. Named Sportswriter of the Year in the state of Illinois a remarkable 19 times, Bob Verdi honed his skills under the intense pressure that only comes while working in one of the game's original six markets. In addition to writing or contributing to six books about Blackhawks players and teams, Verdi also spent three decades as a full time writer at the Chicago Tribune. After years as a beat writer covering the Blackhawks, Verdi became a columnist at the Tribune, and continued to delight sports fans everywhere. 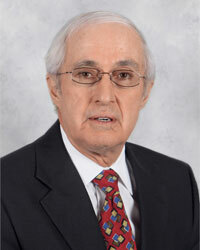 A native of Brooklyn and a graduate of Lake Forest College, the Blackhawks named Verdi official team historian in 2010. "Long before social discourse was limited to 140 characters or there were blogs and all the other things that pass as journalism these days, there was something called the craft. It is something that our 2016 Elmer Ferguson Memorial Award winner, Bob Verdi, has practiced with precision and dedication for decades," said Burnside. "Good writing never goes out of style." 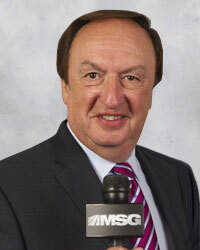 Sam Rosen has been the television voice of the New York Rangers since 1984. Born in Germany and moved to the United States at the age of two, Rosen grew up admiring legendary New York Yankees sportscaster Mel Allen. Today it is Rosen's unique calls and inflections that are a staple for New York sports fans. Rosen's most memorable call came in 1994 when the Rangers won the Stanley Cup for the first time in 54 years. 'The waiting is over - the New York Rangers are the Stanley Cup champions! And this one will last a lifetime' was the definitive call in what is still the highest-rated game in MSG Network history. "Sam has distinguished himself for over thirty years with his unique style and passion for the game of hockey," said Chuck Kaiton, President of the NHLBA. "He is a very deserving winner of this honour and the NHL Broadcasters' Association is proud to have him represent us." Verdi and Rosen will receive their awards at the "Hockey Hall of Fame NHL Media Awards Luncheon" in Toronto on Monday, November 14, 2016, and their award plaques will be displayed in the Esso Great Hall at the Hockey Hall of Fame alongside past award recipients. Recipients of these awards, as selected by their respective associations, are recognized by the Hockey Hall of Fame as "Media Honourees" - a separate distinction from individuals inducted as "Honoured Members" who are elected by the Hockey Hall of Fame Selection Committee. The 2016 Hockey Hall of Fame Induction Weekend begins on Friday, November 11, 2016, culminating with the Induction Celebration on Monday, November 14, 2016. This year's inductees will be announced on Monday, June 27, 2016. Named in honour of the late Montreal newspaper reporter, the Elmer Ferguson Memorial Award was first presented in 1984 by the Professional Hockey Writers' Association in recognition of distinguished members of the hockey writing profession whose words have brought honour to journalism and to the game of hockey. Named in honour of the late "Voice of Hockey" in Canada, the Foster Hewitt Memorial Award was first presented in 1984 by the NHL Broadcasters' Association in recognition of members of the radio and television industry who have made outstanding contributions to their profession and to the game of hockey. The 2016 Hockey Hall of Fame Induction Weekend celebrations begin on Friday, November 11, 2016. This year's inductees will be announced on Monday, June 27, 2016.